Alex, "Mr. 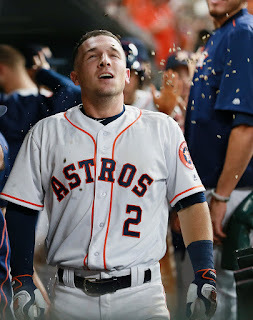 Walk off", Bregman does it again. The third baseman and 2018 All Star of the Houston Astros, who has five walk offs since and including his stirring walk off hit in the key 5th game of the 2017 World Series may have come up with the craziest one yet [if you can even call this a walk off] in Tuesday night's game against the Oakland A's.